Jasper Knight limited edition fine art Original Etching titled “Baby Crane” from 2009. Image size 19.25×25 cm, Sheet size 40.×30.25cm. Edition is limited to 40 only. This Etching is signed by the artist in the lower right “Jasper Knight 09”. 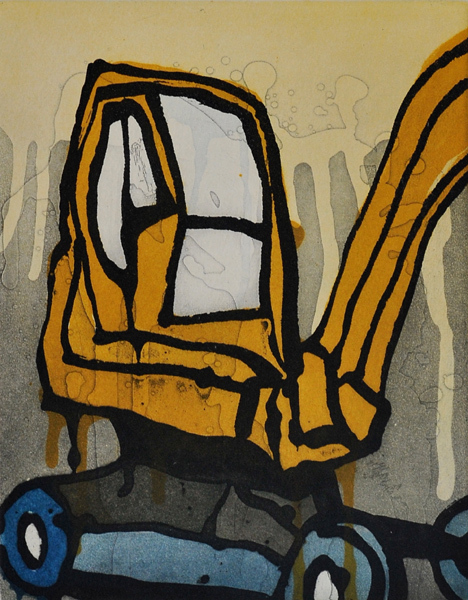 Etching House has limited stock on hand, these works represent excellent buying. Jasper Knight has made a clear interpretation of a simple but incredibly vibrant subject in his unique style, light colour and imagination, this artist is seriously being followed and collected..
Etching House specialise in Jasper Knight fine art limited edition reproduction prints. Etching House specialise in art by jasper Knight. Etching House for fine art etching prints by Jasper Knight.